Set up Robot Console to monitor the message queue MIMIXQGPL/MIMIX. Message IDs that start LVE* are errors. You need to determine what should happen with these errors. Create a message set for them. Next, create a table of some of the message IDs you may want to monitor and treat the same way. They are located in message file LVMSGF in library MIMIX. LVED00A The Dynamic object processing job failed. LVE0142 Object send process for data group &1 ending abnormally. LVE0143 Remote journal connection from &2/&1 to &4/&3 not found. LVE0109 A communications error occurred with reason code &5. LVE0190 Cannot allocate shared resource &1. LVE0191 Cannot allocate shared resource &1. LVE0192 Cannot allocate shared resource &1. LVE0193 Cannot allocate shared resource &1. LVE0194 Cannot allocate shared resource &1. LVE0195 Cannot allocate shared resource &1. LVE3E95 Local system name could not be retrieved. LVE3AAE Journal receiver library value not valid for remote journal environment. LVE3AB4 Journal receiver prefix value cannot be changed for target remote journal environment. LVE3AB5 Threshold message queue value does not match the existing journal environment. LVE3AB6 Threshold message queue library value does not match the existing journal environment. LVE3AB7 Journal receiver library value not valid for remote journal environment. LVE3ADD Journal manager for system &1 is not active. LVE3ADE Attempt to change journal &5/&4 failed with reason code &3. LVE3ADF Change of journal receivers for journal &5/&4 failed with reason code &3. LVE3AD5 Resubmit of journal manager for system &1 failed. LVE3AE2 Sequence number reset for journal &5/&4 failed. LVE3AE3 Journal manager for system &1 has terminated abnormally. LVE3AE4 Error &3 starting journal manager for system &1. 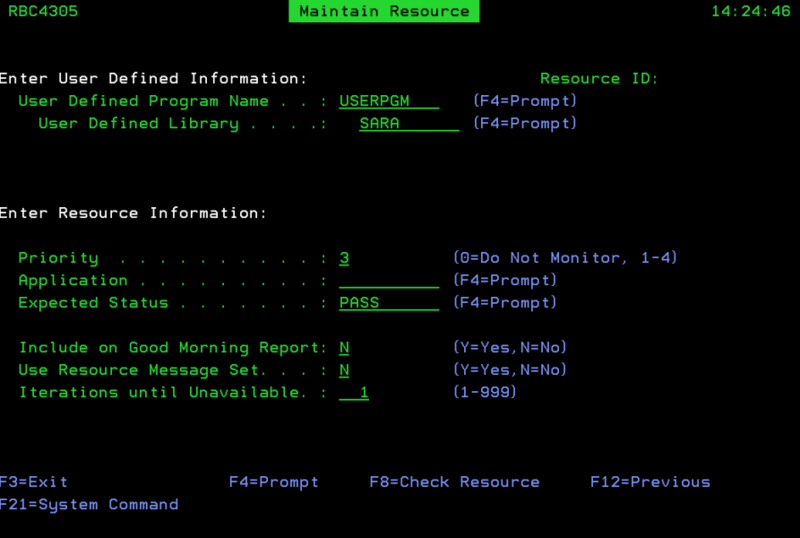 LVE3AE5 Error &2 ending journal manager for system &1. LVE3AF8 Switch request failed with reason code of &3. LVE3A0E Unable to start send/receive and/or apply for data group &2 on system &1. LVE3A11 Unable to retrieve last processed journal transaction information. LVE3A82 Network system &1 is not valid for manager request from network system &2. LVE3C2B Object send is not active for data group &1 &2 &3. LVE3C29 Database send is not active for data group &1 &2 &3. LVE3C32 Pending activity entries exist for data group &1. LVE3D2C Transfer definition &1 does not define a valid remote database (RDB) entry. LVE3D5E User journal (database) replication is not active. LVE3D6D User journal (database) replication is not active. LVE3D60 &1 could not determine status for data group &2 &3 &4. LVE30F4 Journaling started on system &1 for &2 objects. &3 objects had errors. LVE30F6 Journaling not started for &1 in library &2, type &3. LVE301D Object packaging failed for &8. LVE301E Object packaging failed for &8. LVE3019 Error processing &1 outfile &5 for data group &2. LVE305C End of database send process for data group &1 &2 &3 failed. LVE305D End of object send process for data group &1 &2 &3 failed. LVE3062 Error &4 starting database send for data group &1 &2 &3. LVE3063 Error &4 starting object send for data group &1 &2 &3. LVE31BA Journal definition &1 &2 not the source of a remote journal link with target system &3. LVE31B9 Journal definition &1 &2 not the target of a remote journal link. LVE31C4 ERROR * - Database apply failed for IFS object. LVE313B Journal definition name &3 reserved. LVE33A0 Not able to rename system definition &1. LVE33D7 STRJRNOBJE failed. Journaling requests were not processed for any objects. LVE33EA ENDJRNOBJE failed. Journaling requests were not processed for any objects. LVE33EB VFYJRNOBJE failed. Journaling requests were not processed for any objects. LVE33EC STRJRNIFSE processed &2 local and &7 remote requests with errors. LVE33ED ENDJRNIFSE processed &2 local and &7 remote requests with errors. LVE33EE VFYJRNIFSE processed &2 local and &7 remote requests with errors. LVE33EF STRJRNIFSE failed. Journaling requests were not processed for any objects. LVE33E8 ENDJRNOBJE processed &2 local and &7 remote requests with errors. LVE33E9 VFYJRNOBJE processed &2 local and &7 remote requests with errors. LVE33FE STRJRNIFSE processed &2 local and &7 remote requests with warnings. LVE33FF VFYJRNIFSE processed &2 local and &7 remote requests with warnings. LVE33F0 ENDJRNIFSE failed. Journaling requests were not processed for any objects. LVE33F1 VFYJRNIFSE failed. Journaling requests were not processed for any objects. LVE3411 Data group &1 is not configured for remote journaling. LVE3415 Keyed replication is configured in data group &1. LVE37CF Error occurred attempting to delete journal receiver &1. LVE37D4 Threshold message queue library &1 exists in a different ASP device. LVE37D5 Journal environment &1 &2 not built, reason code is &3. LVE37D7 Journal library &1 exists in a different ASP device. LVE37D8 Journal receiver library &1 exists in a different ASP device. LVE4046 Exceeded maximum number of restart attempts for monitor &1. LVE3D76 Data group &1 &2 &3 detected a database apply backlog. LVE305E End of database apply for data group &1 &2 &3 failed. LVE3328 OUTFILE parameter required with OUTPUT(*OUTFILE). LVE3E0B The CMPIFSA failed due to errors. LVE3E07 &1 IFS objects compared. &2 IFS objects different, &5 of which were active. LVE3F07 Specify a name for IFS object when Object type is &2. LVE30FF New directory created, not known to MIMIX. LVE31C5 Data group IFS tracking entry not removed. LVE33F2 Object in use by job &1 &2 &3. LVE338A &1 DGFEs compared. &2 DGFEs were different but being added, changed, or removed. LVE3390 Error &1 detected. File &5 in library &6 held. LVE3AAB CMPDGFE attribute compare of file &5/&4 failed. LVE3AAC CMPDGFE data compare of file &5/&4 member &6 failed. LVE3D6C CMPFILDTA was ended for data group &8 &9 &10. LVQ5001 (G C) CPYACTF requires an exclusive lock on file &1 in library &2 in order to complete the copy process. LVQ5002 (G C) CPYACTF is unable to allocate all objects needed to cleanup temporary journal &1. LVQ5003 (G C) RGZACTF requires an exclusive lock on file &1 in library &2 in order to complete the reorganize process.